THG is a hospitality vehicle committed to facilitating partnerships between internationally- renowned F&B, dining and entertainment names and hospitality brands in Asia Pacific. The consultancy also offers a suite of property and brand advisory services as well as turn-key solutions that manage projects from conception, design and licensing to the handover process. 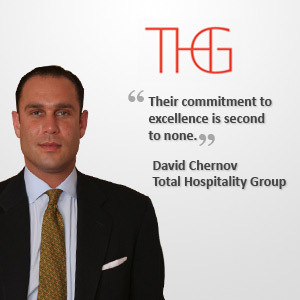 Mr. Chernov brings with him over 15 years of global experience in the hospitality industry. He has led sales and marketing programs for prime hospitality brands such as Trump Las Olas Beach Resort and Marlin Bay Yacht Club. Together with partner and New York City entertainment industry veteran Alfredo Castillo, THG aims to deliver best-in-class hospitality offerings to meet the palates of a growing market of discerning clientele in Asia Pacific. Prior to the launch of THG, Singapore company registration specialists Rikvin has assisted Mr. Chernov with the application of his Singapore work visa. “I can’t say enough about Rikvin. The staff is not only extremely polite and friendly but one of the most knowledgeable as a whole. Their commitment to excellence is second to none. If you’re not engaging Rikvin for corporate services, you are at a disadvantage when doing business in Singapore,” added Mr. Chernov. Moving forward, THG plans to implement several concept and urban development projects across Southeast Asia, China and India. The consultancy will also develop the THG Investment Fund, an initiative that will provide investors with a portfolio of proprietary investment opportunities in THG’s core geographies. Two more THG offices in New York City and Mumbai are in the pipeline as well.